Additional Info: Home to the spectacular Karst - it has been said that the Slovene Karst is the most beautiful part of the planet's underground world. In Slovenia there are more than one thousand karst caves and potholes. 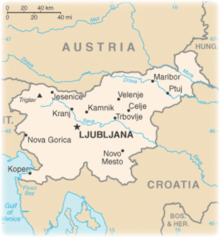 Four major European geographic regions meet in Slovenia: the Alps, the Dinarides, the Pannonian plain, and the Mediterranean. Around one half of the country is covered by forests. Remnants of primeval forests are still to be found, the largest in the Kocevje area. Some of the most attractive hikes are mountain footpaths and both Slovenian sections of the European Long-distance Footpath (E6 and E7). The Kamnik Alps are a mountain range, part of the Southern Limestone Alps in north Slovenia and at the border of Austria. The name is derived from the town Kamnik. In total, 28 peaks surpass 2,000m. 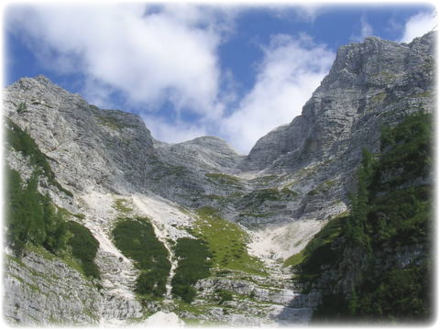 Raduha (2,062m / 6,765ft) is one of the larger peaks, and makes for a nice hiking area. The simplest ascent of Raduha follows way-marked paths from the planina Loka. You can drive quite high up along well-maintained forest roads, almost as far as the mountain hut on Loka, so instead of walking up through the beech forests; you can enjoy starting the trip through sparse conifer forest and over high-altitude meadows. The trip can be extended by descending to planina Arta and returning by a little-frequented path through dark spruce forest to planina Loka. 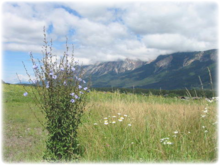 The trip will be most beautiful in late spring (May, June), when you can enjoy the abundance of meadow flowers. The path is occasionally steep (trekking sticks will be useful, especially during the descent) and pretty rocky in the upper part. Slavnik is the highest peak of the Slavnik range, the last mountain range before the gentle slopes of Slovenian Istra. It's also the last peak above 1,000m visited by the Slovenian mountaineering path (a loop path that winds its way around across major Slovenian peaks). From its top, you'll have a magnificent view of Adriatic Sea, surrounding hills and the high peaks of the Julian Alps in the distance. The shortest routes to Slavnik lead from Podgorje, a small karst village south-west of the mountain. From this starting-point you can reach your goal by the Steep path (which deserves its name), the Gentle path (where you hardly even shed a drop of sweat) or an abundance of little paths and cart-tracks which ascend across the slopes of Slavnik. Allow a total of 3 hours to do the loop, mid-summer is a good time to visit but avoid windy days. Slovenia's highest peak is Triglav (2,864m / 9,396ft); the country's average height above the sea level is 557m (1,827ft). Mt. Triglav is situated almost in the middle of the national park. The best season to climb it is from beginning of July (or when the snow melts) till the middle of October (or before the snow comes) but the best months are August and September. Most people allow two days for the trip, one day up and one down. There are a few ways to approach the summit ridge. The South and East side approaches are easier. The most difficult is the North Wall (3000 ft of III - VII grade climbs; though there are paths on the face which do not need climbing gear - not recommended without a guide). There is also a path that comes up from the Dolic Valley - this does not require climbing gear but is more difficult than the Southern and Eastern routes. Bled to Rudno polje na Pokljuki - Vodnikova koca na Velem polju - Triglavski dom na Kredarici - Triglav - Dom Planika pod Triglavom - Triglavska Jezera Hut - Seven lakes valley - Koca pri Triglavskih jezerih - Komna or Koca na planini pri Jezeru - Prsivec - Vogar - Stara Fuzina in Bohinj (18 hrs or 2 days). The Soca (in Slovenian)) is an 87-mile long river that flows through Western Slovenia and North-Eastern Italy. An Alpine river in character, its source lies in the Trenta valley in the Julian Alps of Slovenia at around 3,600ft of altitude. The river runs past Slovenia's highest peak, Triglav before heading south. The Soca has some of the best white water kayaking in Europe! The Soca has four main sections. The upper Soca (which has class III rapids and up) is an open run with one narrow gorge at about half distance. You can either finish the run at 'Kajak Kamp Toni' at the Koritnica confluence or continue to Cezsoca. The section from Cezsoca (Prijon Shop) to the bridge at Zaga is pretty tame paddling (class II). For the adventurous, start your trip at the Saga Bridge. It offers some real pleasure paddling (class III) right up to the start of the actual 'Graveyard Canyon'. Here you should use your GPS. Find the stash and continue on (class III+, Valley of the 1001 eddies, and one of the most spectacular white water runs in Europe) until you see the wooden bridge at Trnovo, this is the place to get out. What follows is the world championship course, this is not the place to go for a swim! The Lower Soca (class IV-) is a lovely section, well worth the climb down (650ft) from the road, with a playhole - it finishes in a scenic class III gorge near Kobarid.